Australian Chamber Orchestra (ACO) presents LEONSKAJA & MOZART, at the City Recital Hall, Angel Place, Sydney. Elisabeth Leonskaja played Piano Concerto in E-Flat Major, k.271 'Jeunehomme' (1777), accompanied by the Australian Chamber Orchestra, led by Guest Leader, Roman Simovic. It was the astonishing eloquence of Elisabeth Leonskaja's playing, which I was able to view quite closely as well, that seized my senses into an attentive zenith. The mastery of technique with a 'magic' of feeling married to a great 'love' of Mozart's musicianship practised with the modesty of an assured artist of a 'gifted' life-lived-honed skill was a great pleasure to receive. This work is full of musical wit and what Robert Gibson, in his program notes calls "fun and games" that requires an agility of technique and, I believe, a spirit of daring and cheeky adventure to conquer. This work was conquered and so were we. 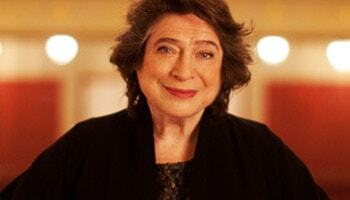 Elisabeth Leonskaja, says the program, is one of the most celebrated pianists of our time. I count it a blessing, indeed, to have heard and watched her play live in the Recital Hall. The ACO was led in this concert by Roman Simovic which also gave performance to Sextet from Capriccio, OP.85 (1940-41), by Richard Strauss, and String Quartet in E-Flat Major, OP.127 (1823-24) by Ludvig Van Beethoven, arranged by Principal Cello Timo-Veikkko Valve. Overall I found the curation of this program a little too classically weighty, finding the Beethoven work arranged in this way not necessarily as rewarding. Musically I found it disappointing and easy to disengage. An experience I rarely have in concert with the ACO. Thank goodness, and double that, for Ms Leonskaja - an experience to be cherished.